Dressed in MacKenzie tartan we enjoy promoting traditional pipe band music, taking part in many local events and travelling abroad at least once a year. Our members come from all over Dorset and West Hampshire. Practices are held at the Old School Hall, Sturminster Marshall, BH21 4BU (Map) on most Tuesday evenings from 7:30 to 10:00pm. Any standard of player is welcome to join and we offer tuition to willing learners, usually on the proviso that they will want to march out with us when they are ready. We provide all the kit except pipes. 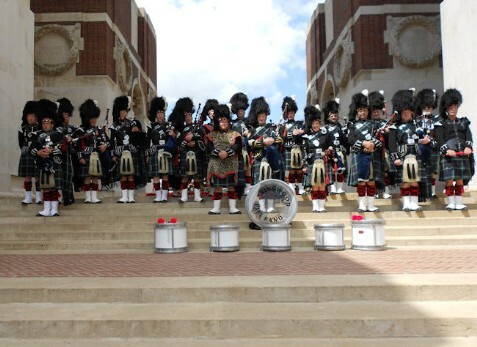 The band was founded in 1972 from the chance meeting of two pipers double booked for the same engagement in Bournemouth. Since then it has grown and developed into one of the leading bands on the south coast of England with an average membership of twenty four. 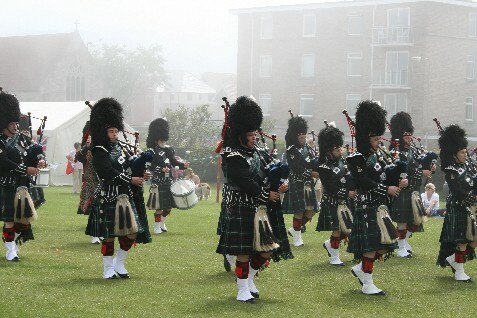 We have good links with several other Pipe Bands in the south of England and this helps players when they move from one area to another or when we or other bands need help with various events. Self funding, we are managed as a Charity (No 281949) with most monies being raised through participation in local events and special occasions. Past trips abroad have included Germany, Spain, France and Italy. 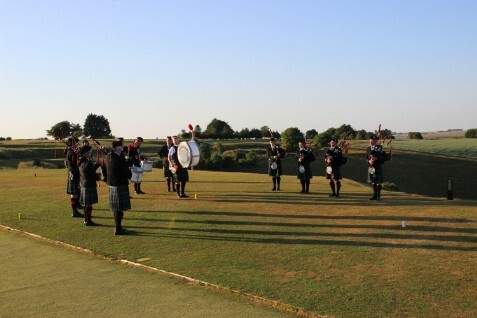 If you would like the sound of the Highland Bagpipes at your carnival, fete, wedding or any other event in Hampshire, Dorset and Wiltshire please get in touch using the booking tab.